'American Horror Story: Apocalypse' is Ryan Murphy's most ambitious anthology yet. Will the crossover event work? Murphy’s original "AHS" shifted the landscape of TV. Hopefully season eight's twist won’t signal the beginning of the end for the creative format. 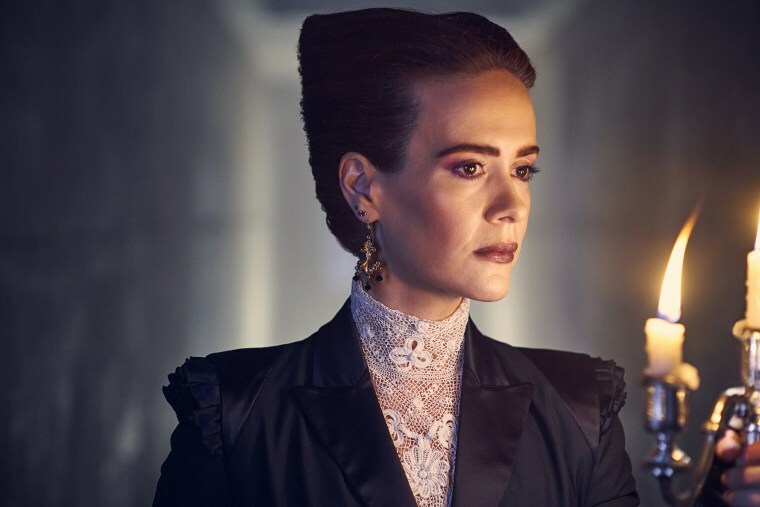 “American Horror Story: Apocalypse” arrives on FX on Wednesday, the franchise’s eighth installment. Up until now, the seasons have been stand-alone stories, all supposedly unconnected, other than the same core group of actors starring in each one. This eighth season changes that, revisiting the world from the very first season and populating it with characters from both that season and one of the show's most memorable iterations, season three. When Ryan Murphy announced his “American Horror Story” project back in 2010, it represented a clear shift from his first major hit, Fox's “Glee.” It was also clearly different from anything else airing on American television at that time, a planned anthology series where each season would tell a separate, self-contained story. When Ryan Murphy announced his “American Horror Story” project back in 2010, it represented a huge shift from his first major hit, Fox “Glee.” It was also clearly different from anything else airing on American television at that time. Nevertheless, the format was mostly out of fashion by the late 1980s. Mainstream shows had long abandoned the premise of a series telling unconnected stories, and by the 1990s even science fiction and horror had moved on. Hits like “The X-Files” featured investigators exploring different “Monster of the Week” mysteries, but there was an overall arc that tied the adventures together over the course of multiple seasons. Just as the prestige TV wave was hitting its stride, however, Murphy brought back the idea that an American series could be told in a short, one-season format. Indeed, Murphy's success with “American Horror Story” undoubtably influenced some of those prestige shows that followed. HBO franchise “True Detective” used the one-season-and-done nature of its stories to attract A-list movie talent willing to go hunting for small screen Emmy glory given the shorter time commitment. (Plus, if one season does badly, the next season can come back untainted, with a whole new cast.) Starz took the format in a more romantic direction with Steven Soderbergh’s “The Girlfriend Experience.” FX premiered “Fargo” in 2014, based loosely on the 1996 film, but with each season taking place in a different era of the town. The format has also become popular on streaming platforms, where shows like “Room 104” on Hulu and the upcoming “The Romanoffs” on Amazon tell back-to-back short stories that are easily bingeable for viewers with shortened attention spans. Still, Murphy has arguably been the most successful recently with the anthology strategy. “AHS” has begat both “American Crime Story,” where each season focuses on a horrific crime based on real events, as well as “Feud,” where legendary, rumored spats between real-life figures are dramatized. His ability to come up with ideas like these is part of why Netflix snapped him up this year, with a deal rumored to be worth close to $300 million. This latest season of “AHS” is interesting because it’s actually a bit of a departure from the norm. No matter how much the show's fans may appreciate the change of pace, audiences everywhere have a hard time accepting that seasons do not tie together, somehow. Surely anticipating this, Murphy began teasing the idea that the seasons were interconnected several seasons ago, taking the idea of the anthology series and turning it, effectively, into a potential universal franchise. Since then, fans have spent each new season theorizing about possible clues, in the process adding a new dimension to the viewing experience. Popular theories suggested each season of “AHS” was based on religious themes, with some proposing that each season represented one of the seven deadly sins, or that each was based on one of Dante’s circles of hell in a modern retelling of The Divine Comedy. It was an appealing mystery within the broader mystery. Murphy’s first success with the anthology idea altered the landscape of TV; hopefully his change of heart won’t signal the beginning of the end for the creative format. It would be a shame if, in the age of the seemingly unending superhero medleys, the Oscar-decorated casts of shows like “True Detective” found themselves forced into an “epic crossover event" of their own.